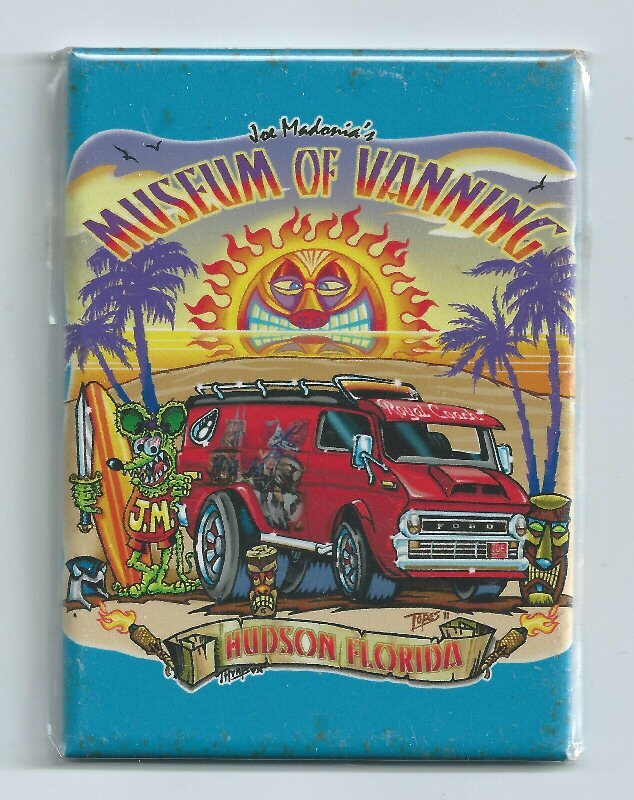 Welcome to the Museum of Vanning Online Gift Shop. 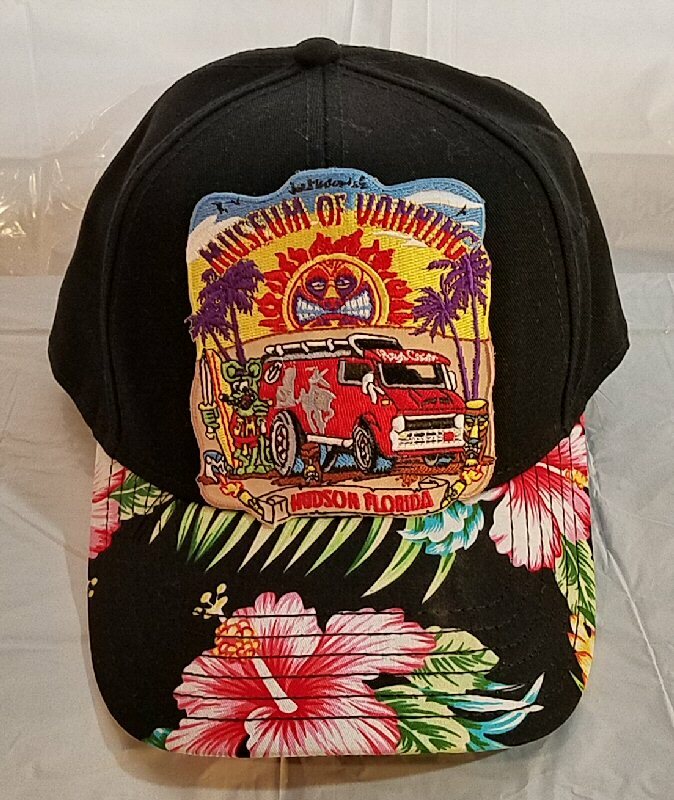 All proceeds from the Gift Shop benefit the Museum of Vanning directly through the non-profit Museum of Vanning and Hall of Fame, Inc.
We are currently offering Museum Logo gift items. 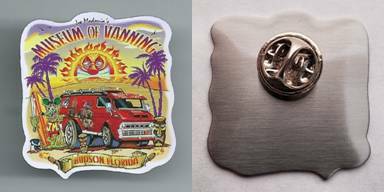 Vanning collectibles and historical artifacts are coming soon. Collectors - check back often to see what will be offered. 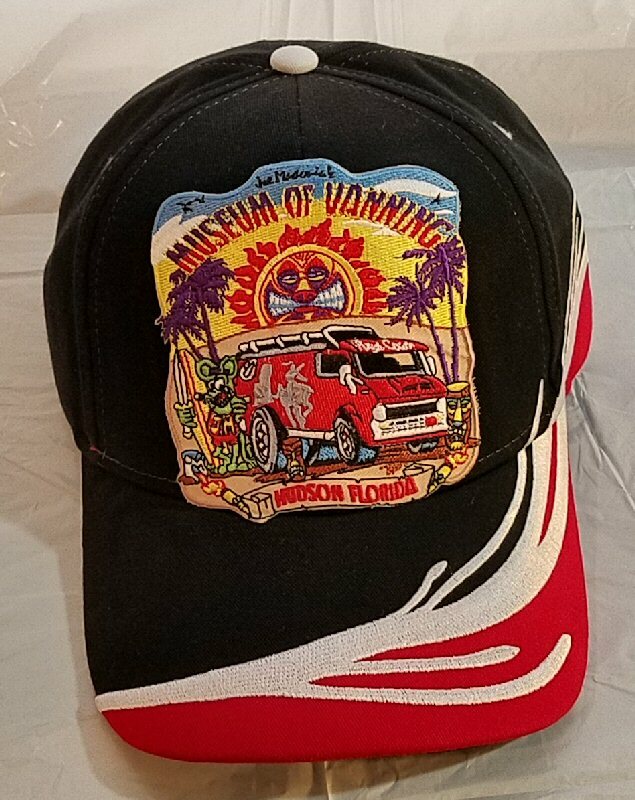 Gift and collectible items displaying the Museum of Vanning Logo. Add them to your own collection or give them to family, friends and fellow vanners. Click on each image or title to enlarge. 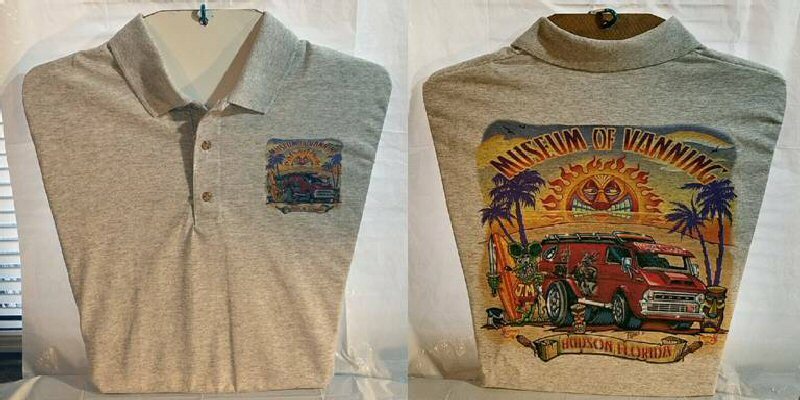 High quality adult T-Shirt with Official Museum of Vanning Logo (on front only). Pure black color with silk screened logo. Adult sizes Small through XXXL. 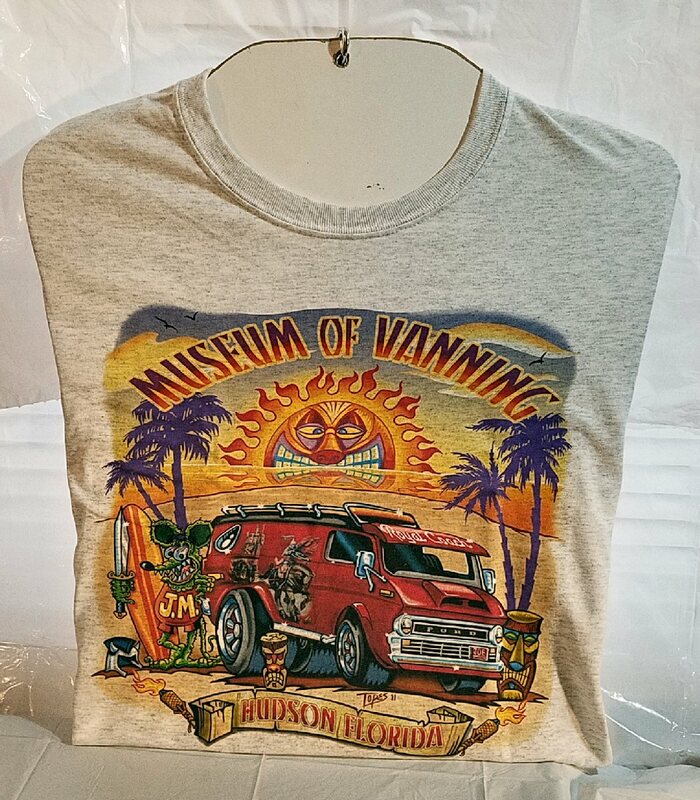 High quality Adult T-Shirt with Official Museum of Vanning Logo (on front only). Athletic gray color with transfer logo. Adult sizes Small through XXXL. 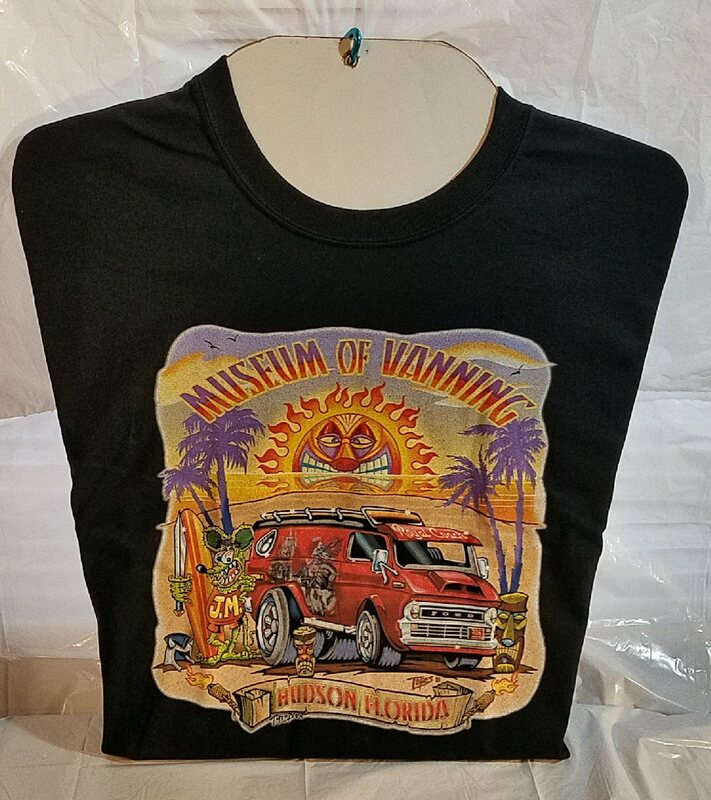 High quality adult T-Shirt with Official Museum of Vanning Logo (small on front + large on back). Athletic gray color with transfer logos. Adult sizes Small through XXXL. 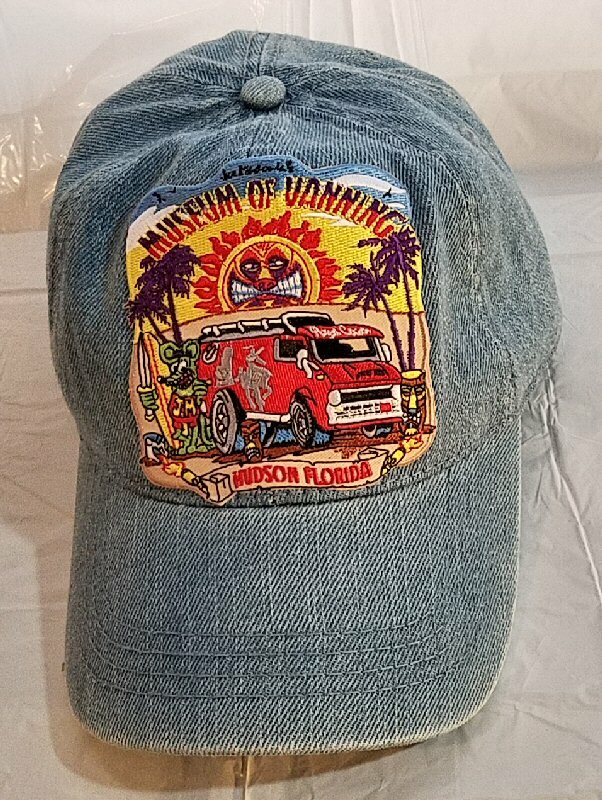 Denim "Dad Hat" with official Museum logo. Black, six-panel, twill structured cap with Museum logo and tropical floral design on bill. Black, six-panel, twill structured cap with Museum logo and red & white splash design on bill. 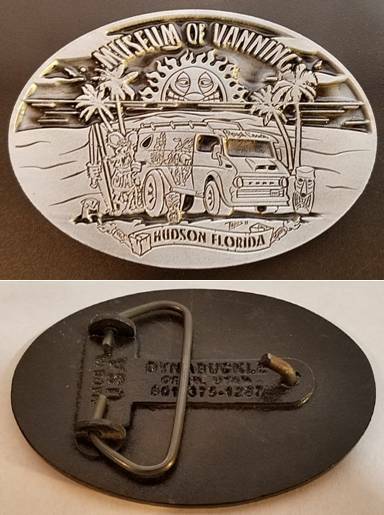 Buckle up with this high quality die-struck pewter belt buckle sporting the Museum of Vanning logo - 3-1/2" wide with epoxy finish. Show them where you're at with this outstanding Museum of Vanning street sign. Brilliant green with white lettering - heavy duty 16 ga. steel. 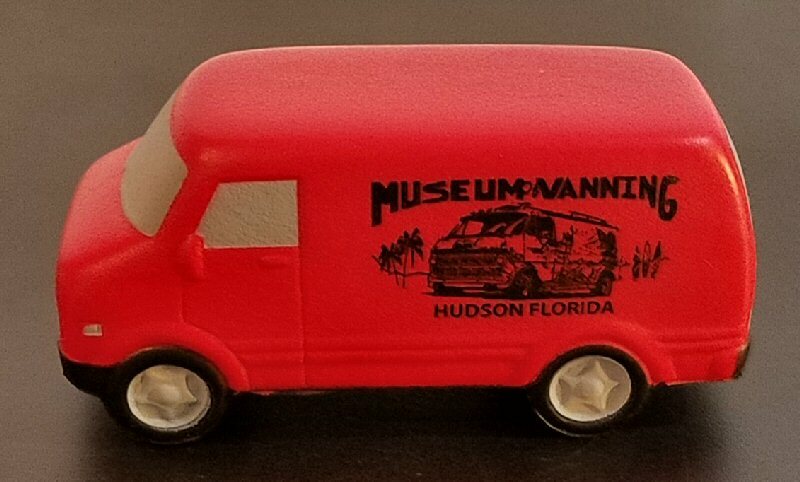 Genuine limited edition, custom printed Matchbox collectible toy van with official Museum of Vanning logo. 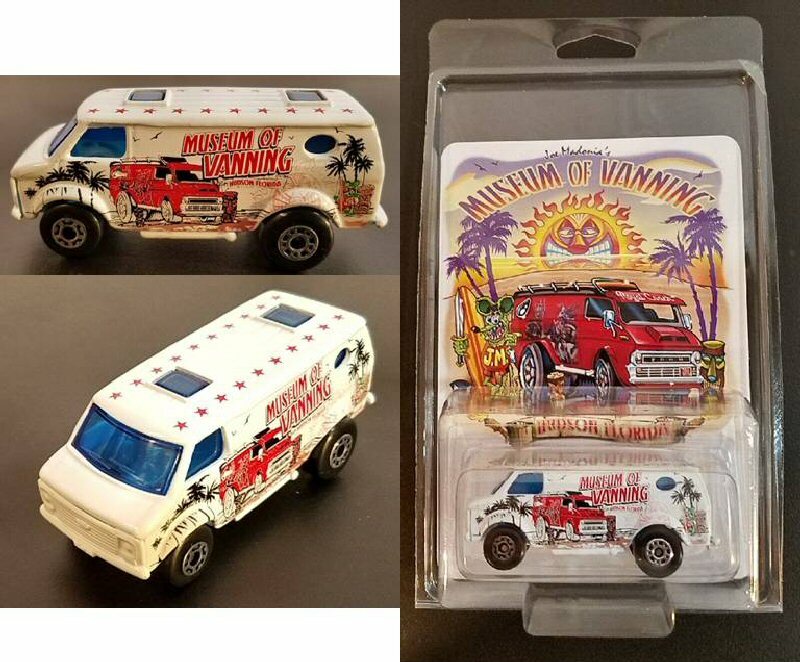 Collectible blister pak contains van and Museum information card. 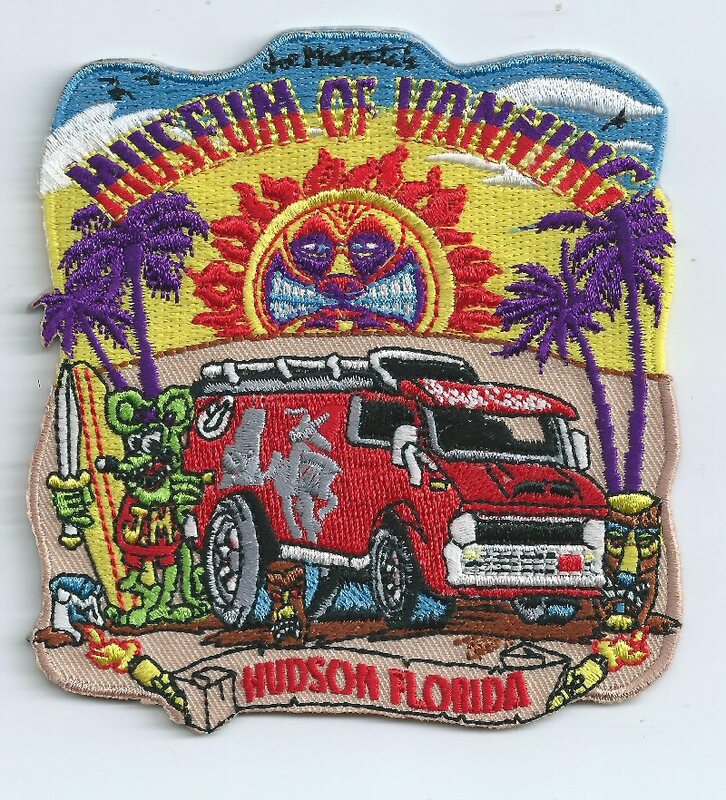 Show your support for the Museum of Vanning by sporting this collectible patch on your jacket, lab coat or great coat. 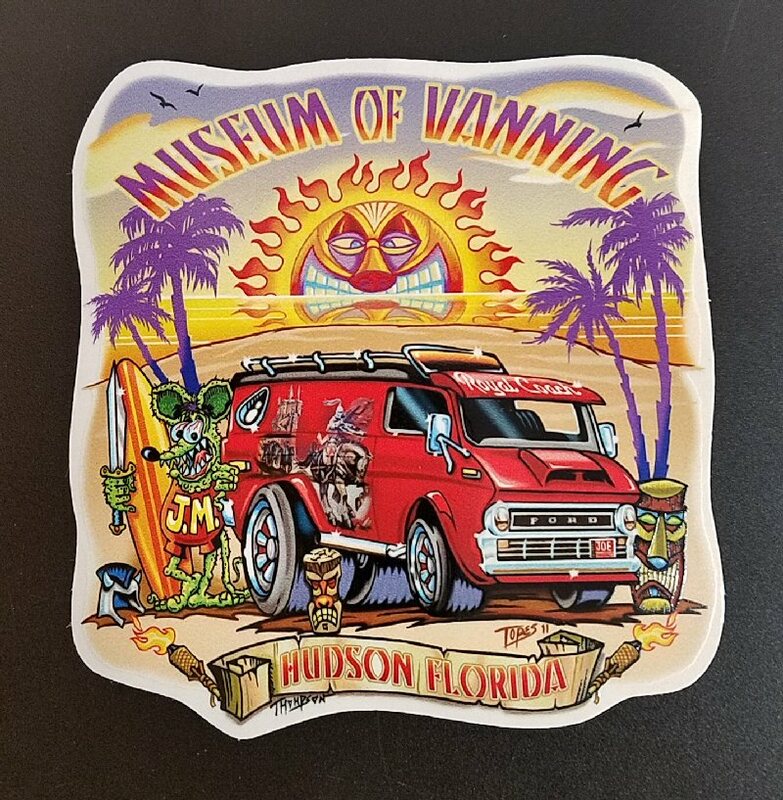 Show your support for the Museum of Vanning anywhere you want to with this collectible logo sticker. Seeing Red? Squeeze your stress away with this squeezable fun toy van. Stay mellow with yellow. Squeeze your stress away with this bright red squeezable stress toy van. 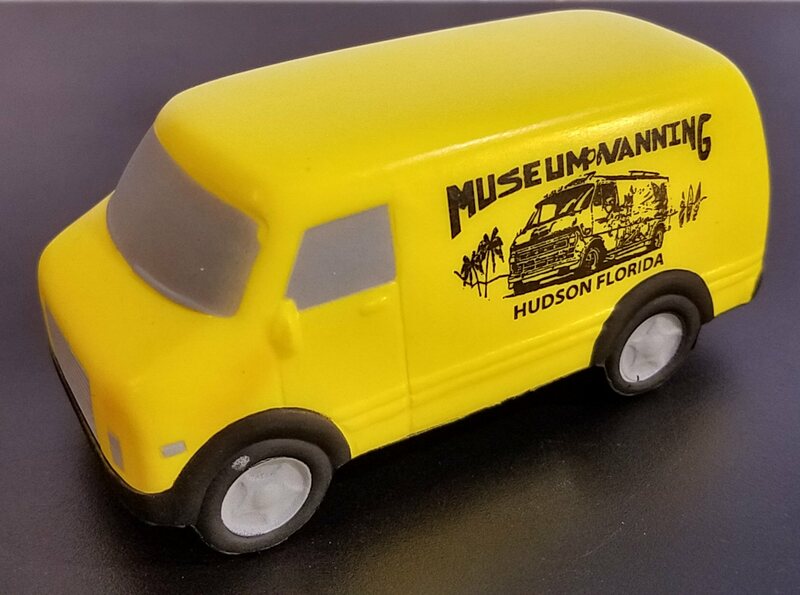 Add this unique Museum Logo magnet to your collection. 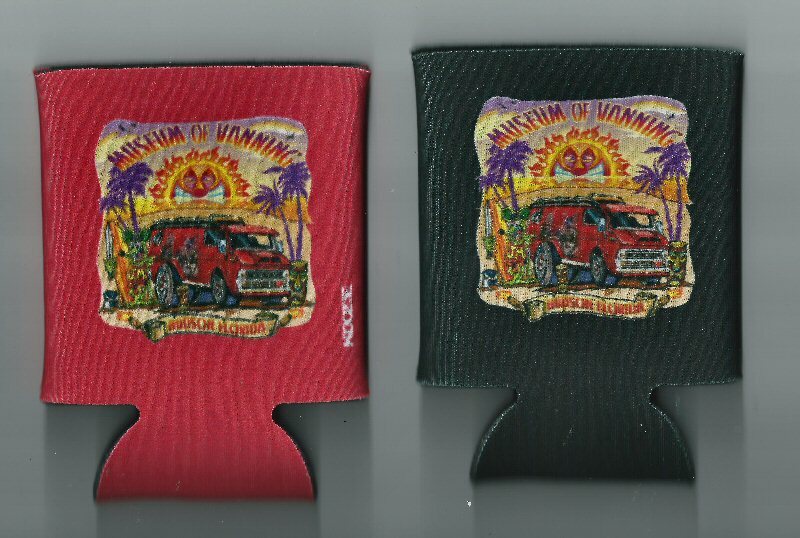 Keep you favorite drinks cool or warm with these collectible coozies adorned with the Museum of Vanning logo. Available in red or black.